After successful events across the country, we finally had the opportunity to engage with the HR Fraternity in Hyderabad at the All Things Talent Talk on Employer Branding organized by iimjobs.com & hirist.com on the 23rd of September! The objective was to gather experienced professionals from the world of Recruitment & Talent Acquisition under one roof to discuss the initiatives that have helped in developing the “Employer Brand” & why it’s so important w.r.t. the Recruitment Funnel in today’s times. 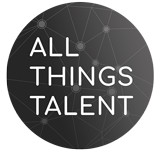 The event began with a brief description of “All Things Talent” as a forum that aims to build an exclusive HR community, filled with professionals focused on learning from peers & industry stalwarts. We also took questions with regards to the latest developments & new initiatives that iimjobs.com is working on! To kick off the speaker sessions, we had Krushnaprasad(KP) Mahapatra who has been working with Tata Consultancy Services for close to 15 years now! Krushna defined Employer Branding as a strategy with which organizations differentiate themselves in the labour market, enabling them to recruit, retain and engage the right people. The key components of an Employer Branding Strategy must stem from the Employee Value Proposition & Accurate Audience Identification. The decision for the audience is broken across stages beginning from Awareness about the organization, Consideration for what you’re offering, Desire to be join the ideal employer & the eventual application to the job. He chose to share the framework he believes addresses all phases of Employer Branding for any Employer(figure below). The framework helps in planning for aspects like Audit & Analysis, EVP Strategy, Testing & Approval, Alignment & Communications and Measurement & Metrics. After a captivating morning session with KP, we called upon Pradeep to discuss his recruitment journey as well as to discuss his point of view & experience with regards to building an Employer Brand. While Pradeep has worked with global brands like Qualcomm Inc, Facebook, Pocket Gems & now Uber, he discussed that when his journey began with these brands, the brands weren’t fully developed in India. He shared that it has been an enriching experience for him to be able to be at the center of these growing organizations. Pradeep discussed the importance of Social Media when it comes to Employer Branding. Interestingly, Travis Kalanick hired Ryan Graves using Twitter! Therefore, the element of Social Media is & will always be one of the most crucial elements of an Employer Branding initiative. We must also ensure that the we customize the hiring process as much as possible. His team use personalized reach outs while reaching out to candidates via email. It’s something that adds a personal touch & leads to better conversions. He also shared that appreciation for candidates as well as interviewers always helps in developing a positive attitude within the team & initiatives to do the same must be frequent. They themselves launched a #BeLikeBill initiative yielding great results! In addition to this, Pradeep was also kind enough to share internal tools & metrics he uses to measure the work being done by his team of HR Professionals at Uber. While both sessions were extremely interactive & engaging, credit must also go to the wonderful HR Professionals of Bengaluru that chose to spend their Saturday morning with us at our first event in the city! We hope we that all the attendees found value in attending the event. All Things Talent will return to Hyderabad – Bigger & Better!